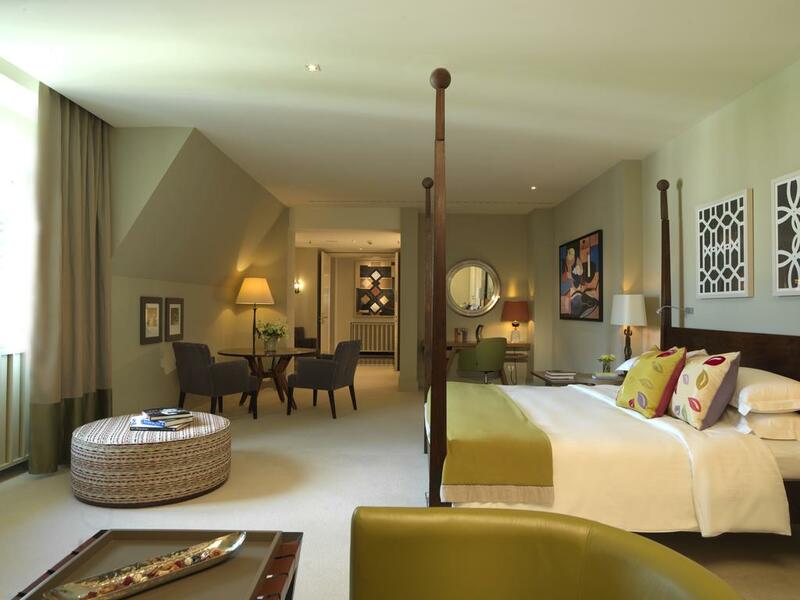 Looking to explore Germany in style by staying in a great boutique hotel in Frankfurt? We’ve got you covered! 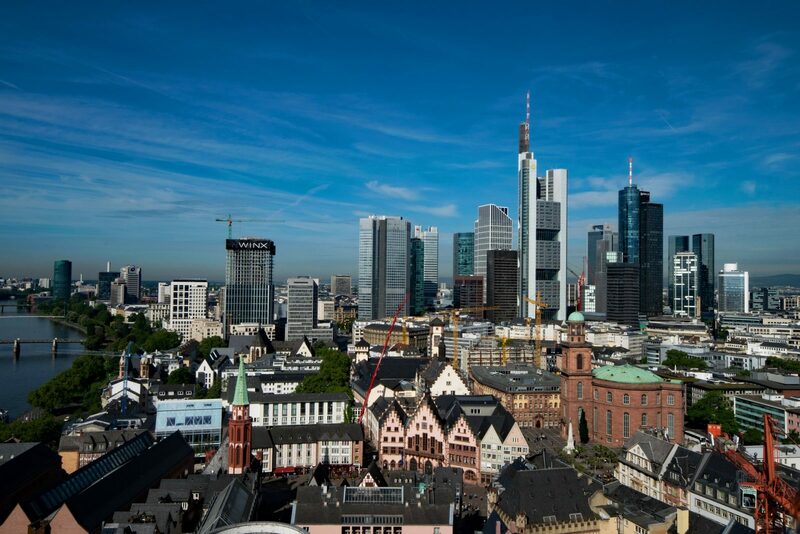 Situated on the banks of the river Main, Frankfurt is a city full of tradition, yet it also takes its place at the center of the modern business world. The city combines a mixture of classic German architecture, like that found in the historic old town, and towering skyscrapers in the financial district – giving Frankfurt a historical yet modern atmosphere. It’s quite the interesting juxtaposition! 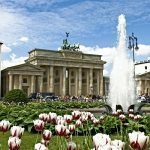 Despite its reputation as a business hub, there is history and culture around every corner in Frankfurt. Countless museums and galleries exhibit the city’s history, art, and culture, and there are many parks and walks along the river for those who enjoy a bit of fresh air. 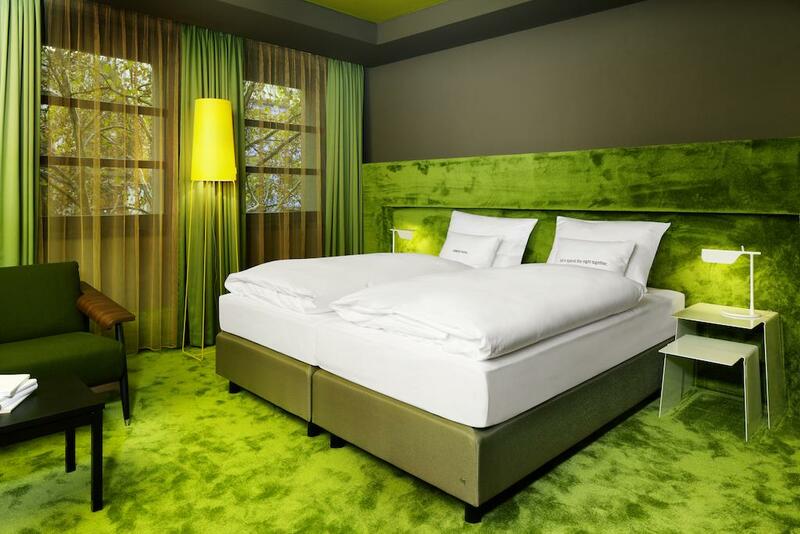 Frankfurt is also home to some of the best boutique hotels in Germany. Countless accommodation options reflect Frankfurt’s position at the forefront of the financial world. Skyline views, luxury spa retreats, 5 star service, and fabulous cuisine can all be yours to enjoy if you’re willing to fork out the extra Euros. 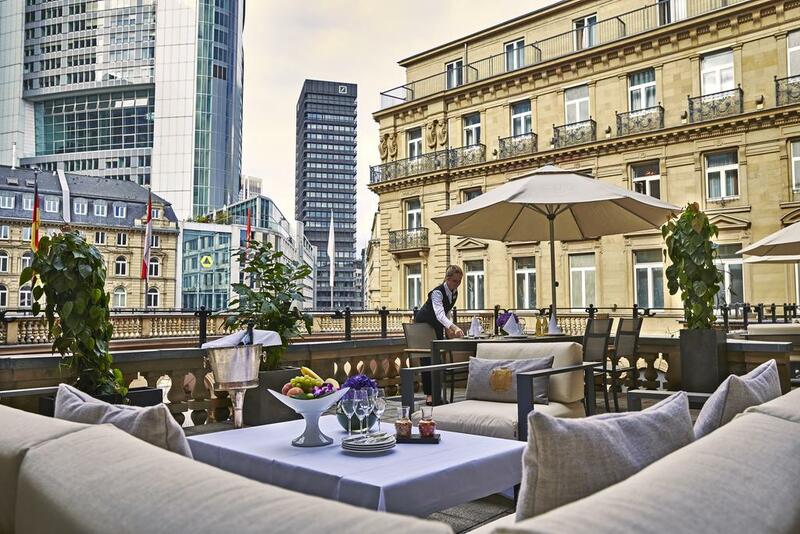 So if you’re looking to add a bit of luxury during your holiday this year our list of the best boutique hotels in Frankfurt will help you narrow down the options! The 25Hours Hotel The Goldman’s ideal location and stylish decor that reflects Frankfurt’s place in the modern world are some of the reasons why this is one of the best boutique hotels in Frankfurt. 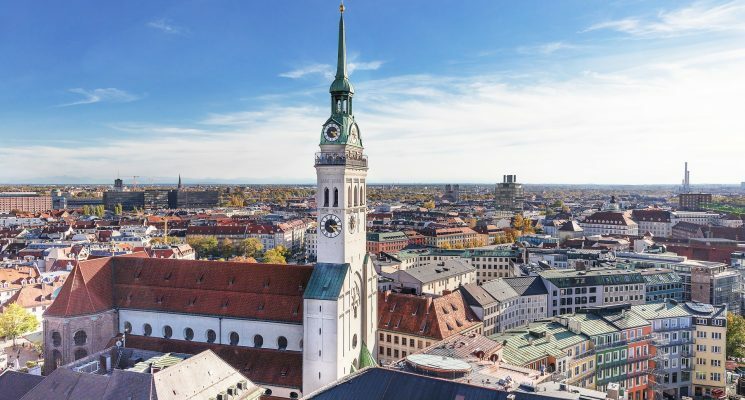 Located just 10 minutes from Römer square and the bustling city centre, the Goldman is close to the Ostbahnhof Train Station, providing transport links to the whole city. 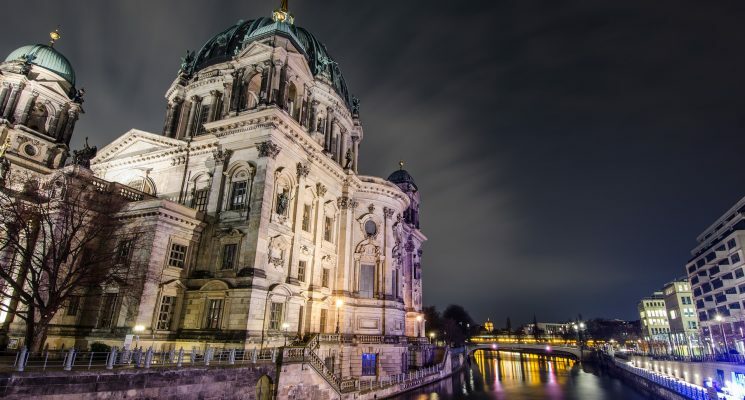 However, like a lot of German cities, Frankfurt is best explored on bicycle, so save the environment and your cents and enquire at the hotel reception about hiring one for the day. The 25Hours Hotel The Goldman is a design hotel and features designs from local artists. It’s clean, modern, and elegant and each room has everything your heart might desire. Rooms are color themed, so if you have a favorite make sure to request it when you book! The hotel offers a delicious breakfast buffet that features freshly baked German bread and pastries, as well as cereals, fruits and a variety of beverage options. It’s also an excellent hotel for vegetarians, vegans, and people that are gluten free as there are several options for them to choose from on the breakfast buffet. The Goldman also has a maritime themed restaurant inspired by the creative east-end of the city. The atmosphere is fantastic, and there’s also a bar and a terrace for you to enjoy during your stay. 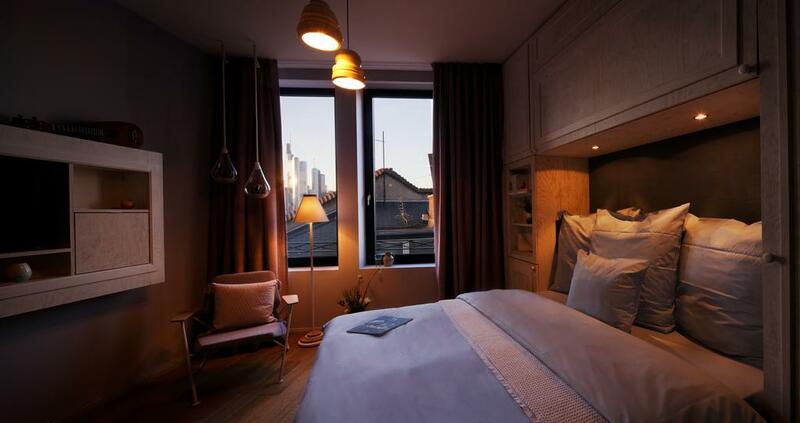 One of the best boutique hotels in Frankfurt, 25hours Hotel The Trip is inspired by a trip around the world to Asia, Africa, and Oceania. Each floor is decorated with adventurous travel in mind and with the intention to inspire wanderlust in all who stay here. Located just a 10 minute walk from the central station, this hotel is in the ideal location for exploring everything Frankfurt has to offer. Since the best way to explore Frankfurt is on two wheels, the hotel offers bike hire. They even have curated bike tours so no need to worry about getting lost! The hotel also has a partnership with MINI, which gives guests the option to rent MINI cars for free depending on availability. The trendy design of this hotel gives it a modern and vibrant feeling. Each room comes equipped with air conditioning, bluetooth speakers and high-speed wi-fi. One of the best features of this hotel is the rooftop terrace, which provides you with exceptional views of Frankfurt’s skyline. Depending on the weather, the staff will even set up the bar so you can relax with a drink in the evening sun. Sometimes events are hosted on the rooftop, such as concerts, open air cinemas and barbecues – so keep an eye out! Set in an historic villa just 500m from the River Main, Rocco Forte Villa Kennedy’s class and elegance make it one of the best boutique hotels in Frankfurt. The villa was once the home of an influential banking family that lived there for 30 years during the early 20th century, and although it has been fully restored it maintains a homey feel. The rooms are decorated in a contemporary style, and each bathroom features a heated marble mosaic floor. Each room comes equipped with air-conditioning, a flat screen TV and sound-proof windows to ensure you get the best night sleep possible. The hotel has an abundance of luxury features for guests to enjoy. The fine dining restaurant Gusto serves mouth-watering Italian food which you can enjoy in the courtyard garden. The JFK lounge bar provides live jazz, funk and soul music most nights of the week. Guests are given full access to a Villa spa, which features a high-tech gym, steam room and sauna. Special beauty and spa treatments are offered, so give yourself a bit of pampering during your stay in Frankfurt! Continental and buffet breakfast is offered with lots of vegetarian and gluten-free options, and we hear they make great coffee! Rocco Forte Villa Kennedy is close to transport links that will have you at some of Frankfurt’s best spots in minutes. Its location near to the river is ideal for romantic evening strolls in the sun. 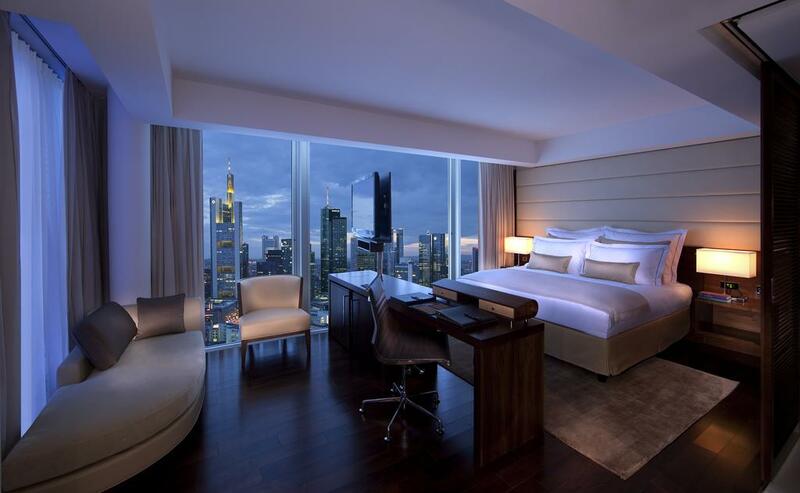 If you’re looking for a luxurious hotel which offers fantastic views of the city, then Jumeirah Frankfurt is the perfect choice for your Frankfurt getaway. Located right in the heart of the city, Jumeirah is ideal for travellers who want to avoid public transport and prefer to explore on foot or two wheels. 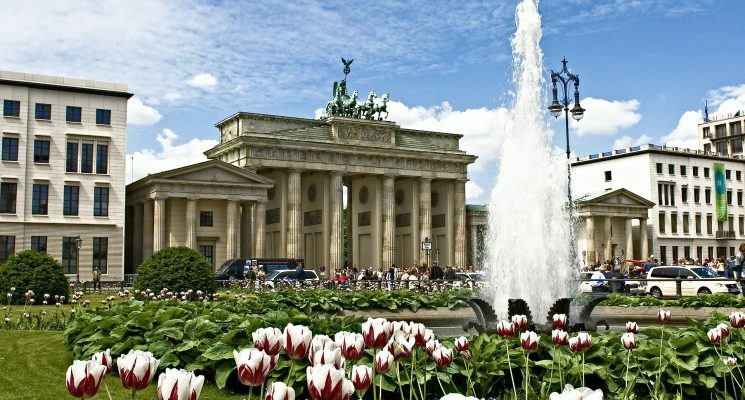 Just a few steps from Zeil major shopping street, you can easily reach Römerberg, the Goethe Museum and the Museum of Modern art on foot within 10 minutes. This hotel definitely offers guests a luxury experience. The classic rooms are comfortable and spacious. Room and suite options are available to book, and each comes with a magnificent view of Frankfurt’s skyline and the surrounding Taunus hills. If you know your German art, you’ll be pleased to hear that all rooms feature a painting by the contemporary artist Hartwig Ebersbach. Each room also has a Nespresso machine so you don’t have to sacrifice your daily caffeine fix! Jumeirah also features a spa area with tropical rain showers and two saunas, and if you still want more, guests are given full access to a gym and indoor pool across the street. You’ll be given a welcome drink and oshibori (hot towel) on arrival, and the staff are always welcoming and willing to accommodate any special requests you might have. All of this are just some of the reasons why Jumeirah Hotel is one of the best boutique hotels in Frankfurt! This historic Steigenberger Frankfurt Hof hotel was established in 1876 and is located in the heart of Frankfurt’s busy financial district. Its classic elegance and premium service will have you feeling like a royal! 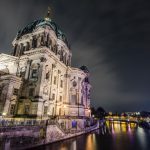 One of the best parts about this boutique hotel is its central location, which means that most of Frankfurts attractions are within walking distance. 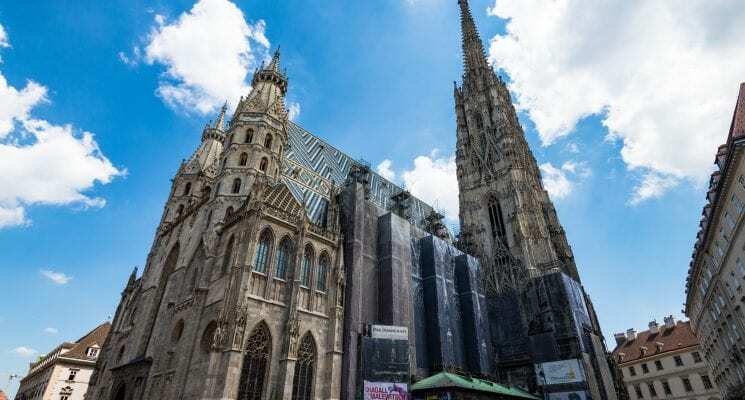 The Jewish Museum, Goethe Museum, Theatre and main shopping centre are less than half a kilometre away. The hotels many room options cater to all your needs, each classically decorate to make you feel as though you’ve stepped back in time – but it still has all the modern features you might need! All rooms are equipped with air-conditioning, safety deposits to keep your belongings safe, and stunning bathrooms with marble bathtubs. If you want your Frankfurt getaway to be the ultimate relaxation trip then this hotel is the perfect choice for you. Their spa offers a Turkish bath and a barber shop, as well as a variety of massage and beauty treatments. Just make sure you don’t miss out on seeing the city! There are plenty of areas to socialize over a delicious meal or a drink as well. The hotel restaurant serves a buffet breakfast for guests every morning with exceptional coffee and fresh baked goods, as well as vegetarian and vegan options. The bar offers a royal afternoon tea and then later in the day changes its mood and becomes the ideal place to catch up over a glass of wine or two. The Michelin star restaurant Restaurant Français promises a fine dining experience with unforgettable food. The fantastic location and unbeatable service make Steigenberger Frankfurt Hof one of the best boutique hotels in Frankfurt. Libertine Lindenberg is a unique design hotel located close to the Jewish Quarter of Frankfurt, and is within walking distance to many of the city’s main attractions such as Cathedral of St Bartholomew and historical centre. With access to the underground nearby, this is the ideal location for exploring Frankfurt whether by foot or public transport. The hotel features its own studio, shop and cafe as well as a gym and free bicycle rental station. Each room comes equipped with flat screen TV and, one of the best things, free Netflix! So you’re free to pick and choose your evening entertainment after a long day of exploring beautiful Frankfurt. The hotel’s sound studio often hosts concerts, events and film nights, so you’ll never be at a loss for what to do. 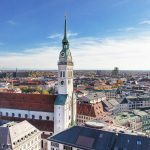 There are plenty of bars and restaurants in the area where you can find fantastic German beer and all the delicious food you could want. Somethings guests particularly love about this hotel is the vegetarian buffet breakfast. There’s also a shop where you can find homegrown organic groceries sourced from the area, and a communal kitchen if you feel like preparing your own dinner. It’s affordable price, unbeatable location and great food make Libertine Lindenberg one of the best boutique hotels in Frankfurt.